Cheese in all its variety of organic origin. Buy Organic Goat Cheese - The Green Goat – 10 oz. Jar. Ecological Medallions of Goat Cheese with Extra Virgin Olive Oil. They are white cheeses, soft creamy texture with a fine taste and pleasant .. Of craftsmanship and an exquisite result. Buy Cured Organic Goat Cheese - The Letur Cantero – 13 oz. Approx. of delicious goat Manchego cheese. This magnificent cheese from La Mancha is a good choice for your table. 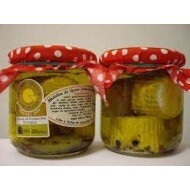 Spanish Gourmet Organic Products. 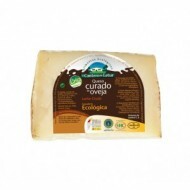 Buy Cured Sheep Ecological Cheese - The Letur Cantero -13oz.. Approx. of delicious Manchego cheese made with raw sheep milk. This magnificent cheese from La Mancha is a good choice for your table. Spanish Gourmet Organic Products. 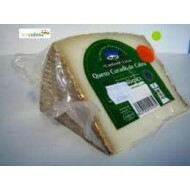 Buy Organic Sheep Larrazabal Cheese 12 oz. Approx. of the País Vasco delicious cheese made with raw milk of Lacha and Carranza sheep's by enzymatic coagulation. 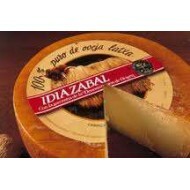 This magnificent cheese with PDO Idiazabal be a good choice for your table. Spanish Gourmet Organic Products.